China-based smartphone vendors are set to follow Apple lockstep into the all-screen handset era as competition in the Chinese smartphone market heats up in the second half of 2017 (via DigiTimes). With much of the media attention focused on the imminent launch of Apple's "iPhone 8" with edge-to-edge OLED display this September, rival mobile makers including Huawei, Xiaomi, and Gionee have been quietly pushing ahead with their own all-screen alternatives. Following a successful comeback in the Chinese smartphone market in the first half of 2017 after a setback the previous year, Xiaomi plans to further enhance its position with the upcoming release of its Mi Mix 2, according to industry sources. 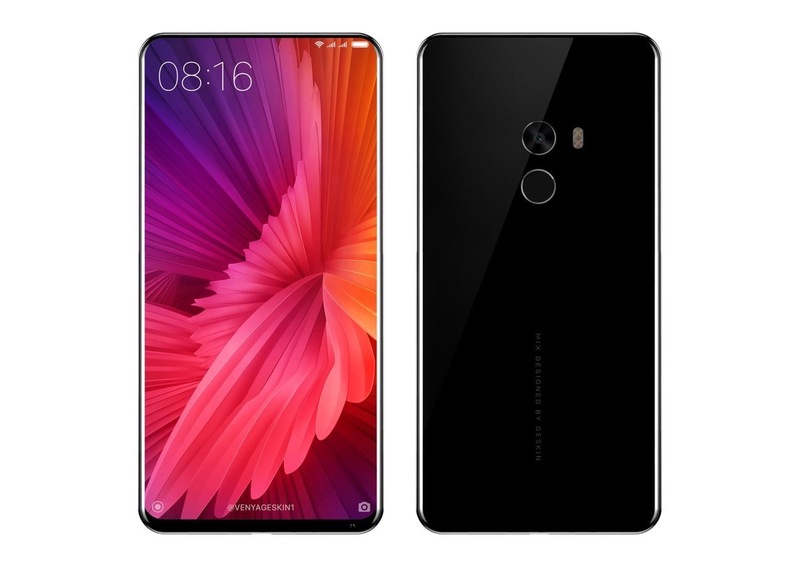 MacRumors readers may recall the company's first Mi Mix which raised eyebrows in October 2016 for its almost bezel-free design, despite largely being considered a "concept phone" rather than a mass market device. The second-generation model aims to change that perception, with Xiaomi set to boost supply in order to grab more market share. Meanwhile, Huawei has reportedly stepped up its purchases from component suppliers since the beginning of the third quarter for a planned rollout of its next-generation flagship model, the Huawei Mate 10. The device is said to feature a 6-inch 18:9 (2:1) all-screen AMOLED display from Japan Display. Elsewhere, Gionee will continue its aggressive strategy – which began with the release of the world's first four camera (dual front and back camera) phone, the Gionee 10 – by rolling out all-screen models of its flagship devices in time for the second half of 2017, according to sources. Even smaller mobile vendors have gotten in on the act, with Japan-based Sharp making a return to China's smartphone market recently with the launch of its all-screen model, the Aquos S2, priced at CNY2,499 ($375), targeting the mid-tier segment. Last year Apple experienced its first ever year-over-year decline in the Chinese smartphone market, with the company's phones continuing to be outpaced by cheaper alternatives and the iPhone 7 failing to kick up a frenzy among consumers compared to previous launches, according to analysts. Apple faced a similar story at the beginning of the current year. Despite recording record results, Apple's Q1 2017 earnings call revealed revenue was down 8 percent in China, but CEO Tim Cook claimed half of that decline was down to currency devaluation. Apple currently stands in fifth place in China's booming smartphone market, where combined sales reached 131.6 million units in the fourth quarter of 2016, accounting for nearly a third of worldwide shipments. It remains to be seen whether the iterative "S" cycle updates to its iPhone 7 range due this fall, combined with the appeal of a premium alternative in the form of the so-called "iPhone 8", will help to boost its success in these booming Sino markets, which are typically dominated by cheaper-priced, high-spec handsets. Apple is riding the wave of Chinese brands (and Samsung) which introduced full screen models quite some time ago. The ads for the Galaxy S8 in London have been insane. Apple = paying an insane amount of money for inferior hardware a year after your colleagues showed you the tech in their Android phones. If the Android OS hadn't been utter tripe, I would have switched ages ago. The RDF is strong with this one. Didn't all these Chinese brands, including Samsung, rush out all these full screen devices after all the rumours that the iPhone 8 would have a full screen? That's what tends to happen.... Apple rumours, Samsung make a phone copying those rumours and rush it out, Apple then release their phone with all the leaked features done properly. Seriously? How quickly do you think they can design, develop and release these products? It doesn't happen in three months. Besides, it is clear from their previous releases that they have been heading in the full screen direction for years. The ads for the Galaxy S8 in London were insane. Apple = pay an insane amount of money for inferior hardware a year after your colleagues showed you the tech in their Android phones. When the first all-screen Mi Mix came out, the iPhone 7 looked like a '90s Motorola by comparison, and then the S8 perfected it. I'd hardly call it "riding the iPhone 8 wave", as good as the next iPhone could be. Love how Apple can now set a trend even before releasing a product, based on rumors. Remember all the Android Wears before iWatch, and now this. There is a fundamental difference. Android phone makers claim a feature as soon as it kinda-works-in-demo-mode and then rely on fixing it in later iterations. Apple tend to wait until something's fully thought-through and working before implementation. The classic example is Apple Pay, which I've been using on my watch for over a year. I've never seen anyone using Google Wallet / Android Pay for anything, even though Android phones have had the hardware required for longer. Apple didn't launch until the entire ecosystem was ready, which meant that it got taken up rapidly when it came out. Google launched as soon as the hardware was ready and waited for the rest to catch up. It still hasn't. Having said that, there's no doubt that Android phones were the first to market with larger screens, mostly driven by problems in packaging the same level of capability as an iPhone in that volume without using custom components for everything. TLDR: Apple mostly waits until things are working perfectly before launching, which means that they tend to arrive later than the "that'll do - shove it out the door" Androids, but gain traction far quicker. Xiaomi has the Mi Mix from last year, and Sharp has the Aquos Crystal from 2014, although I can't say I've heard of Gionee before. It doesn't have to be imitation in either direction, it's entirely possible that all companies are just improving their designs in a logical way, and the technology is finally here to do full screen devices properly. You have just answered my question.....thanks lol. Where is the front facing camera on that image? I'm not sure if you realize, you're providing more evidence against the point you're trying to make instead of for the point. See that generalization you used? That literally means Apple is using tech that others already have on the market. If it's already on the market, others aren't following Apple - which is the claim of the article btw. The point you're arguing has nothing to do with the topic of the article. Again, you're arguing an unrelated point. The claim of the article is companies reacting to Apple, not Apple doing something better after others already implemented. Besides, outside of noteriety, Apple Pay in the US isn't that successful at all. Less than 2% of all payments in the US are contactless (that includes Apple Pay and all the other Pays combined). There's also no doubt that Android phones were first to market with smaller bezel screens. Kinda makes the headline backwards doesn't it?